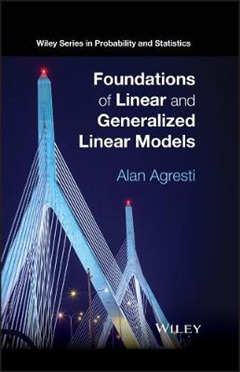 A valuable overview of the most important ideas and results in statistical modeling Written by a highly-experienced author, Foundations of Linear and Generalized Linear Models is a clear and comprehensive guide to the key concepts and results of linearstatistical models. 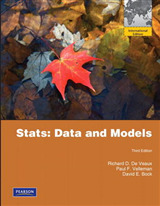 The book presents a broad, in-depth overview of the most commonly usedstatistical models by discussing the theory underlying the models, R software applications,and examples with crafted models to elucidate key ideas and promote practical modelbuilding. 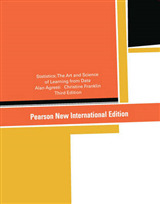 The book begins by illustrating the fundamentals of linear models, such as how the model-fitting projects the data onto a model vector subspace and how orthogonal decompositions of the data yield information about the effects of explanatory variables. 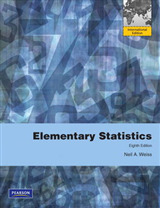 Subsequently, the book covers the most popular generalized linear models, which include binomial and multinomial logistic regression for categorical data, and Poisson and negative binomial loglinear models for count data. 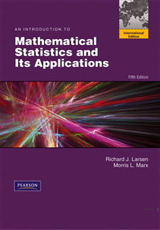 Focusing on the theoretical underpinnings of these models, Foundations ofLinear and Generalized Linear Models also features: * An introduction to quasi-likelihood methods that require weaker distributional assumptions, such as generalized estimating equation methods * An overview of linear mixed models and generalized linear mixed models with random effects for clustered correlated data, Bayesian modeling, and extensions to handle problematic cases such as high dimensional problems * Numerous examples that use R software for all text data analyses * More than 400 exercises for readers to practice and extend the theory, methods, and data analysis * A supplementary website with datasets for the examples and exercises An invaluable textbook for upper-undergraduate and graduate-level students in statistics and biostatistics courses, Foundations of Linear and Generalized Linear Models is also an excellent reference for practicing statisticians and biostatisticians, as well as anyone who is interested in learning about the most important statistical models for analyzing data.